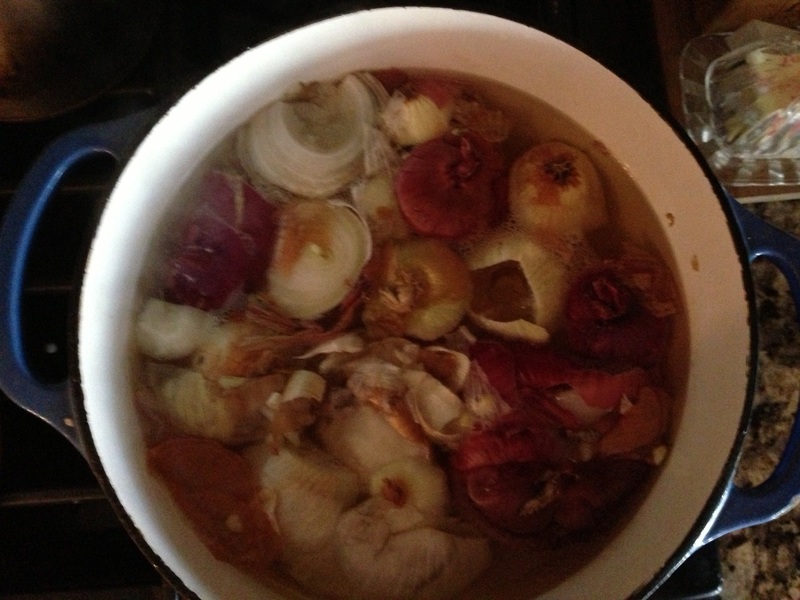 In large soup pot put all onion peels and 6 cups distilled water. Bring to a boil and cover. 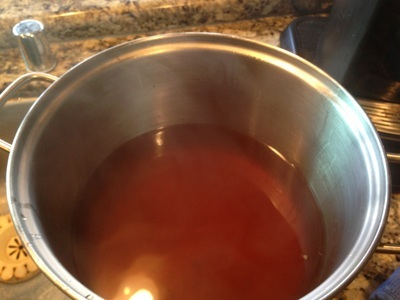 Turn down to a simmer for 30-40 minutes. Remove all pieces through strainer and return broth to cooking pot. Broth will be a beautiful rich color. 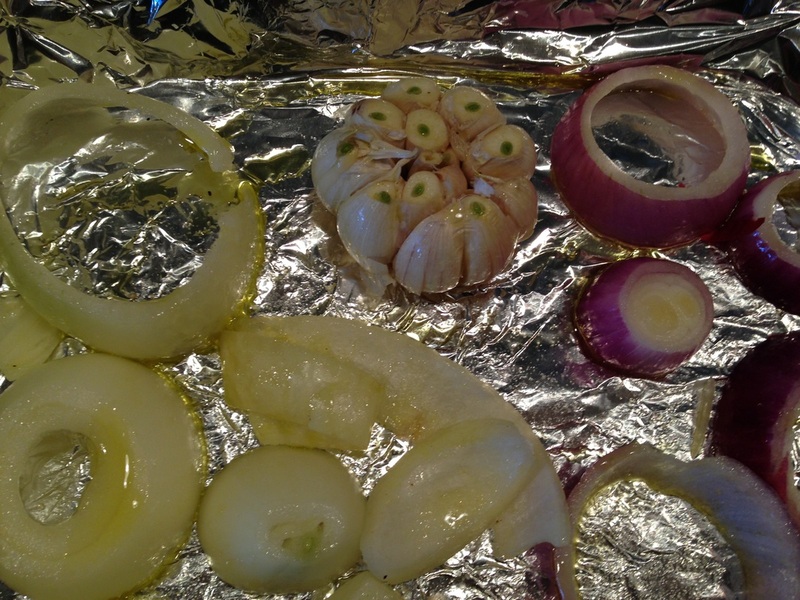 Pre-heat oven to 425F In mixing bowl place onions and garlic. Drizzle olive oil and salt and using hands mix through so olive oil coats all sides of the onions. Place on lined cooking/baking sheet spaced with space between. 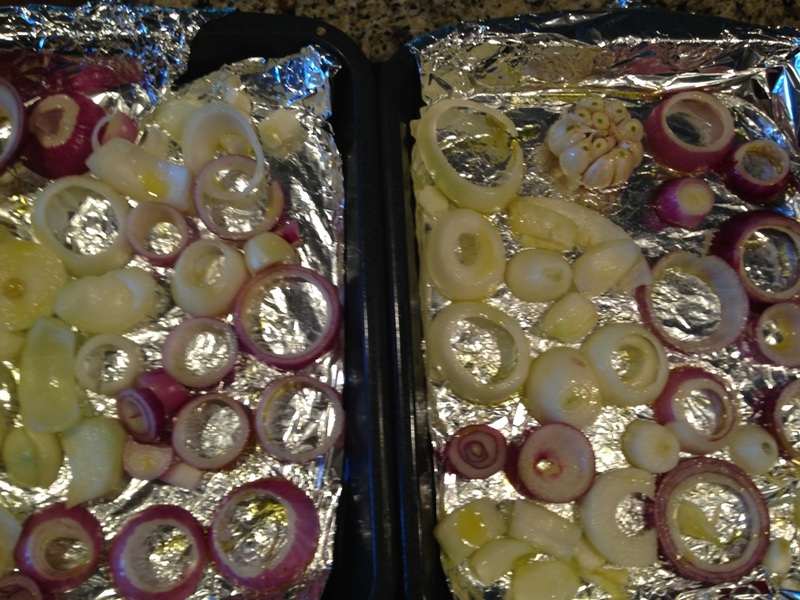 Place in oven and roast for 20- 30 minutes. 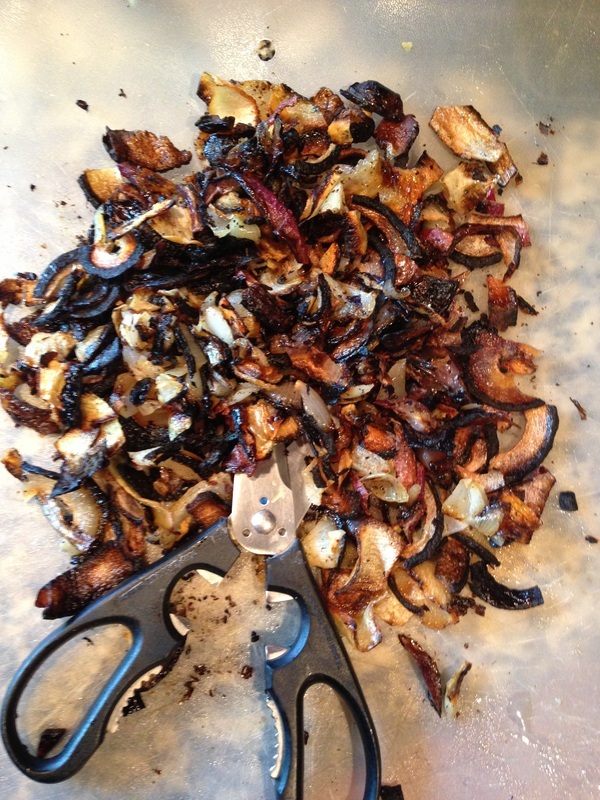 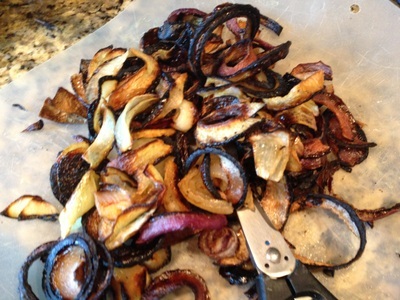 Once onions are brown and caramelized remove and let cool. 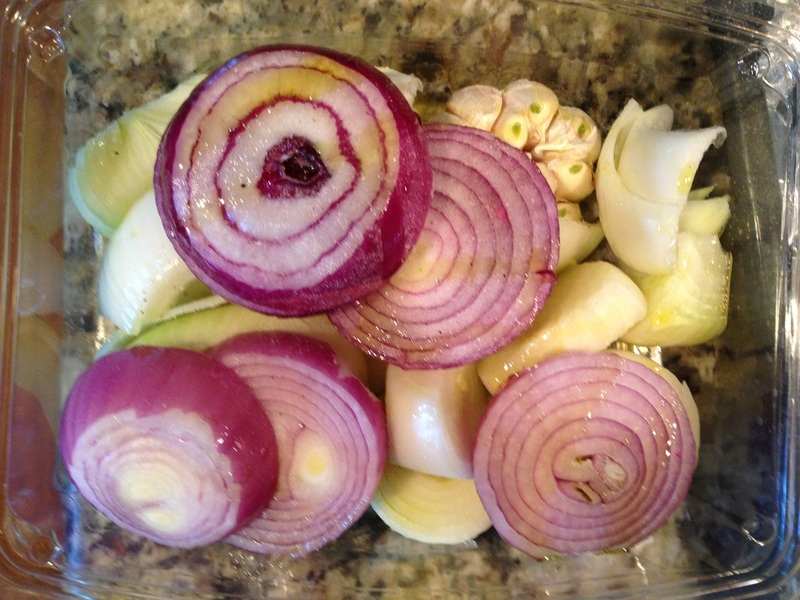 Using kitchen scissors cut onions to very small size. 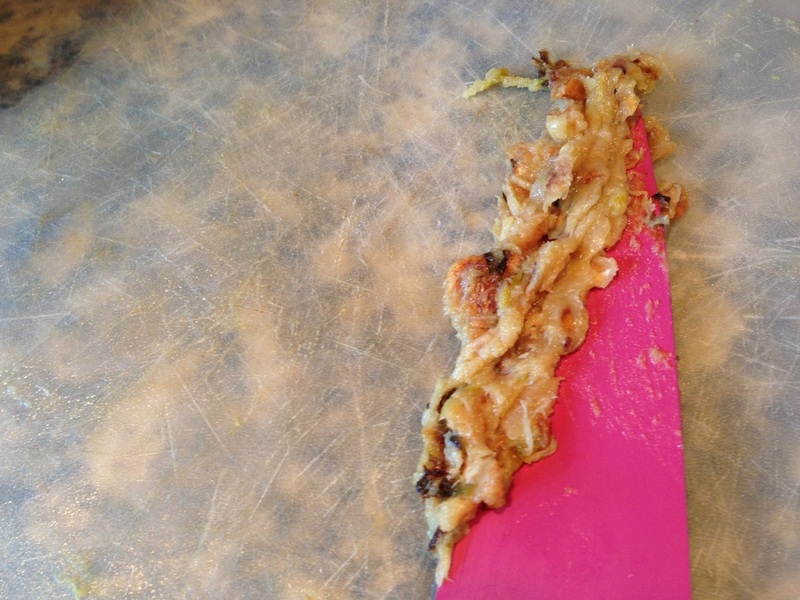 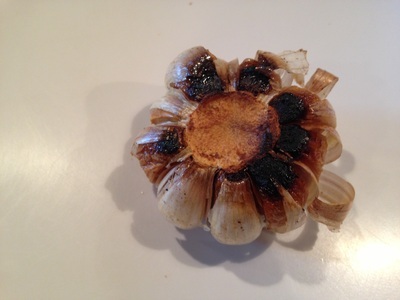 Using your hands pop out garlic from shells and using the back of your knife smash to a paste. 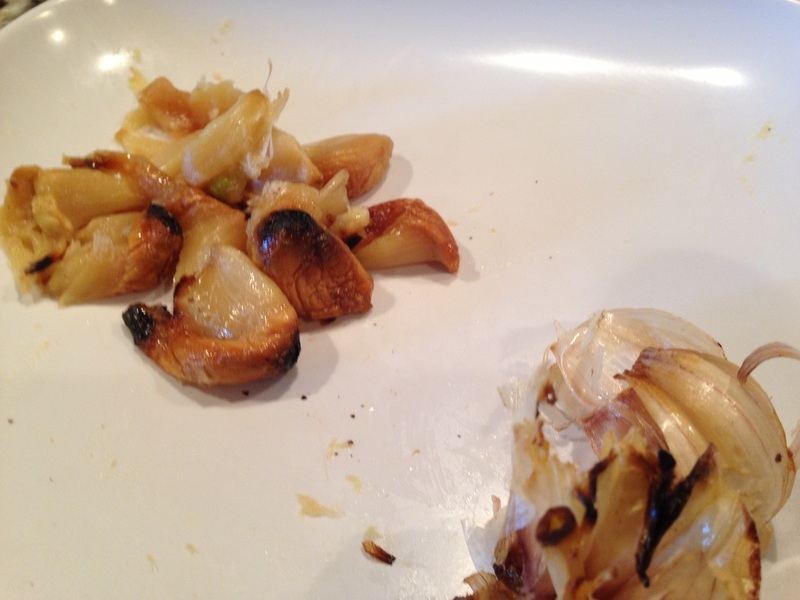 Put garlic paste and chopped onions into your broth. 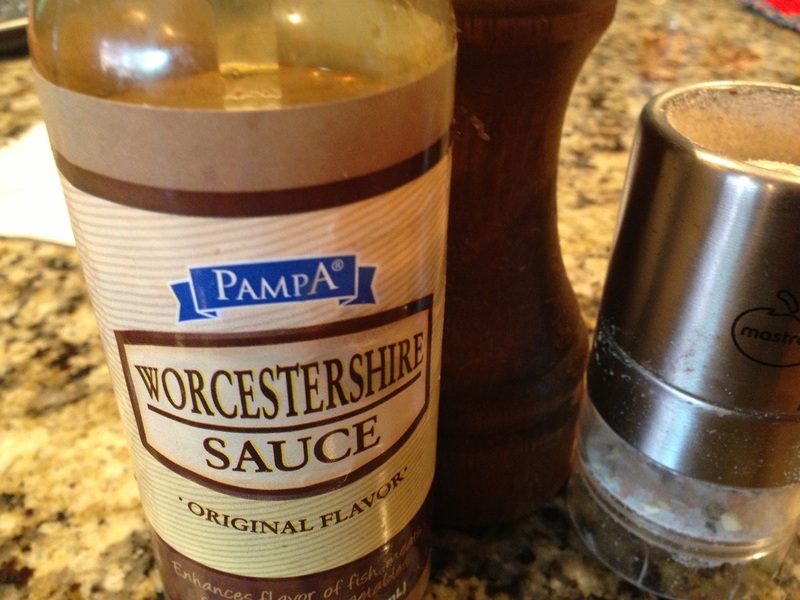 Add a dash of Worcestershire sauce, soy sauce, thyme, salt and pepper. Cook for 10 minutes until the flavors are blended. 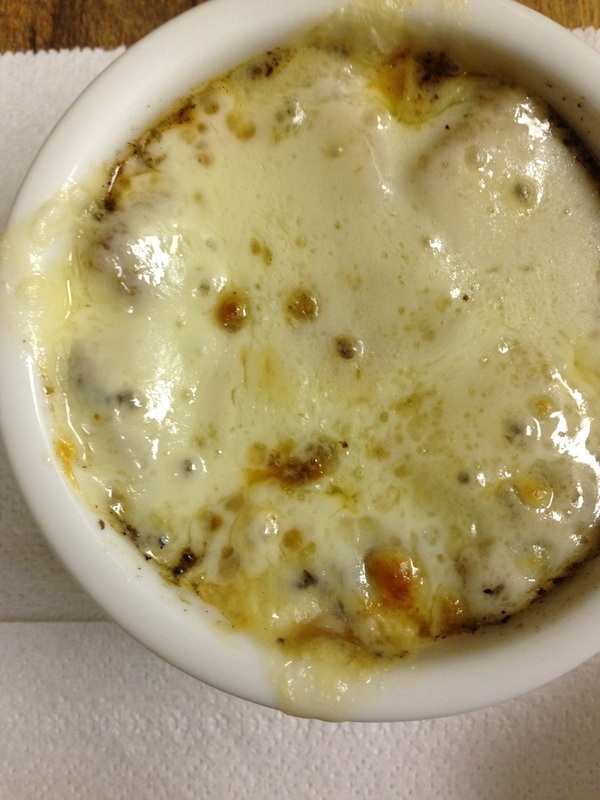 Optional: Place soup in over proof bowl, top with crouton and cheese. Place in the oven under the broiler until cheese is melted and brown. 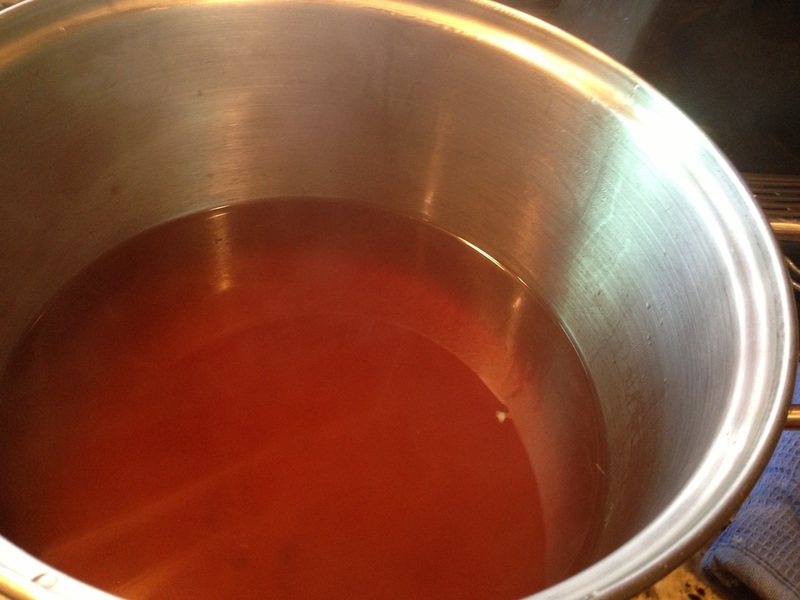 Serve hot! 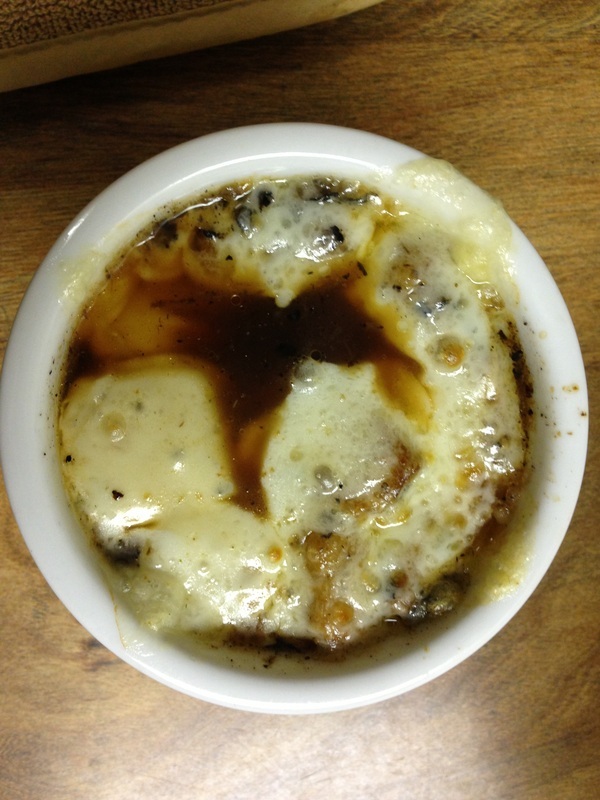 Onion and Garlic Soup topped with croutons and melted cheese, I guess this is my play on French Onion Soup. 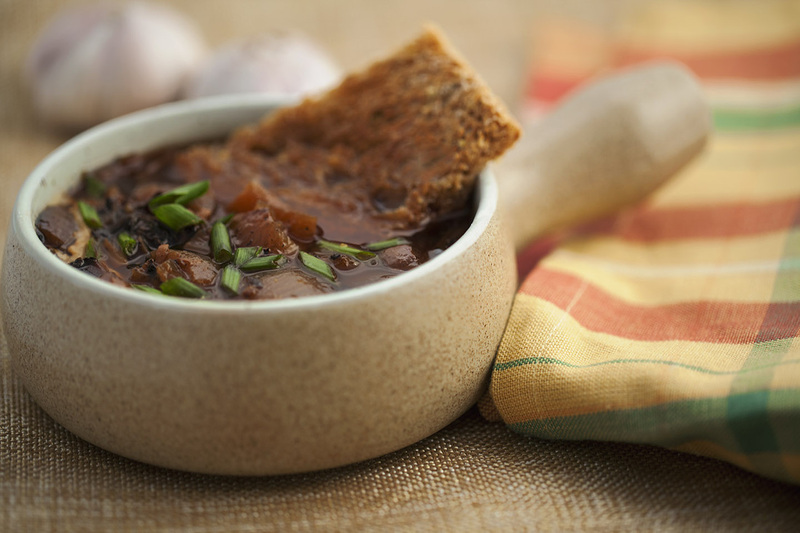 Just by looking at the ingredients of course the recipe does not even come close but the taste, smell and looks of this soup make it a simple version of onion soup. 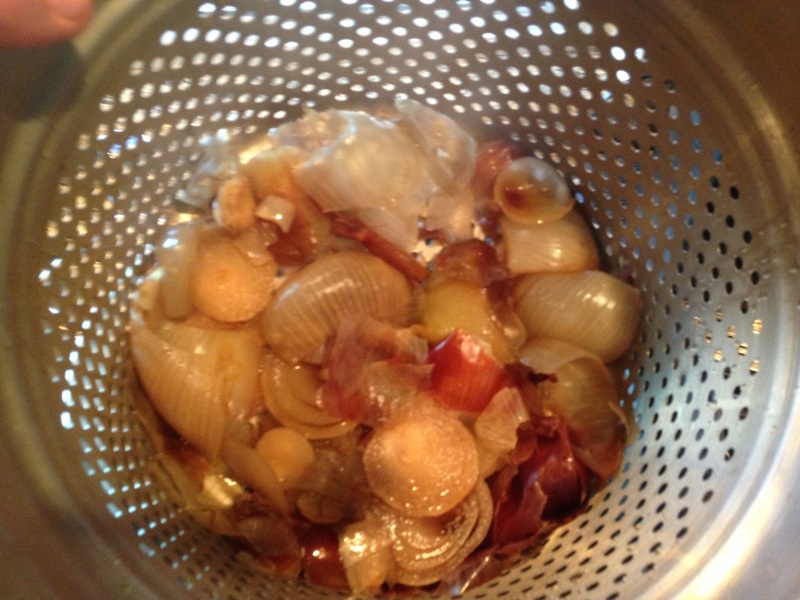 Using your onion skins to flavor your water is such a fun way to use this normally discarded item. 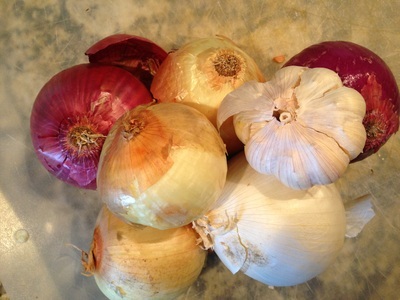 Wishing you great fun in your kitchen!